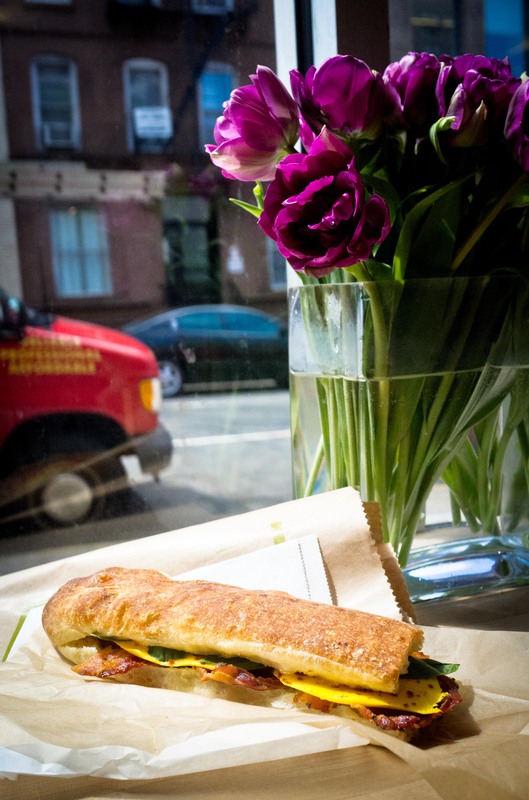 Spring time means that the PMB is in season at Sullivan Street Bakery. This is one of my all time favorite sandwiches and a simple one at that! Four ingredients, sweet mango, fragrant basil, crispy pancetta and spicy chili powder, come together beautifully on the Sullivan’s soft strecci bread. This might be one of the only times I actually enjoy, no, crave the combination of sweet fruit and savory.